Wholesale Distributor of a wide range of products which include dilapan-s equipment, medical disposable underpads, medical drape sheets, i-mom maternity pads, disposable underpads and disposable cusco vaginal speculum. 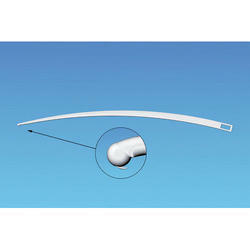 Dilapan-S is a hygroscopic cervical dilator made of a patented hydrogel called AQUACRYL. It is a rigid hydrophilic stick that increases in volume by absorbing fluids and comfortably dilating the cervix. 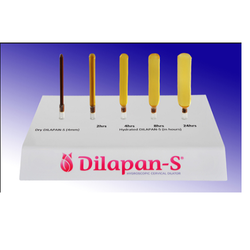 • DILAPAN-S stimulates the release of endogenous prostaglandins, which degrade collagen fibers and soften the cervix. With this effect, it supports the physiological process of ripening of the cervix. • Dilates the cervix gradually and the effect is gentle as well as predictable. • Patient comfort is manageable on-site and at home. • No negative or undesirable pharmacological effects to cervix. 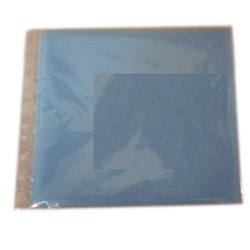 We hold immense expertise in catering to the variegated requirements of the customers by bringing forth a remarkable range of Medical Disposable Underpads. These underpads are used for medical purposes and are obtained from licensed vendors of the industry. Easy to use and hygienic, these underpads are manufactured at our vendors' premises with the aid of sophisticated machinery and technology. We are one of the market-leading suppliers and distributors of Medical Drape Sheets having quality-approved tissues and efficiently absorbs fluids. It works instantly and can be used wet. These products are highly demanded for their outstanding features. These sheets are fabricated as per the set norms and standards of medical industry. We procure these sheets from renowned vendors ensuring high quality. 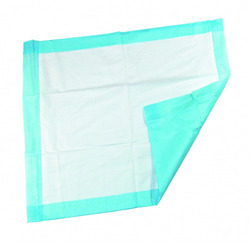 These sheets are available in unsterilized and sterilized form. Focused on optimum satisfaction of our valued customers, we are offering I-Mom Maternity Pads that are made of wood pulp. These pads are highly absorbent and are used for postpartum bleeding. Available in the package of seven, these pads are both belted and sticky type. 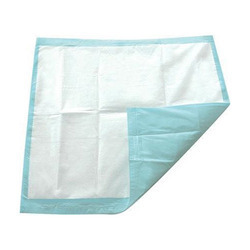 These highly efficient absorbent are made as per the set norms and standard of medical industries. We have made these pads available in market procuring from renowned vendors at very reasonable rates. We are dedicatedly engaged in supplying and distributing high quality Disposable Underpads that absorbs instantly. These hygienic under pads are highly efficient and maintains cleanliness. These hygienic underpads are highly efficient and maintain cleanliness. Our underpads are available in different sizes to meet the distinct requirements of valued patrons. Customers can avail these qualitative underpads from us at affordable prices. We also provide doorstep delivery within stipulated time. 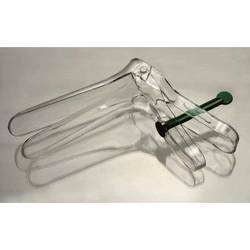 Backed with profound experience of the industry, we are engaged in supplying and distributing a Disposable Cusco Vaginal Speculum which is highly demanded for its high quality. 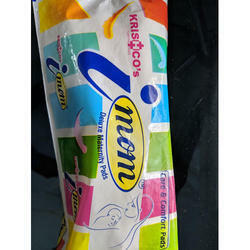 Offered products are made of transparent material and allows widening the vaginal canal. These products are procured from reliable and authentic vendors and are available in three different sizes. Our vendors fabricate these products as per the norms and standards set by medical industries. These products are highly reliable and are easy to use. Allows to widen the vaginal canal and expose the uterus neck. Possible to adjust the vaginal opening by fixing the blades and locking the central key. Central key can be bent down for an easier introduction of cumbersome instruments. Available in three different sizes small, medium and large. 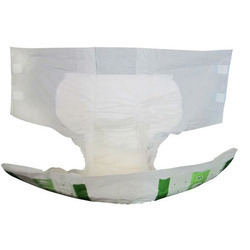 Patrons can avail from us an array of premium quality Adult Diapers that are easy to use and harmless for baby's skin. These diapers are available in different sizes and are highly absorbent. These qualitative range of diapers, procured from authentic vendors prevents leakages and allows fresh air to circulate in ensuring dryness of skin. Offered products are manufactured using quality-approved fabrics ensuring medical standards. These products are made available in market at competitive prices. Available in two different sizes, medium and large. Designed for quick absorption and light in weight. No odours, no leaks and no soars. The Amniotic Membrane Perforator is a sterile, single-use obstetric instrument used to rupture the amniotic membrane with minimal risk of trauma to the fetus or mother. Curved, protected hook, to safely rupture the amniotic membrane. Backed with profound experience of the industry, we are engaged in supplying and distributing a Disposable Cusco Vaginal Speculum with light source which is highly demanded for its high quality. Offered products are made of transparent material and allows widening the vaginal canal. These products are procured from reliable and authentic vendors and are available in three different sizes. Our vendors fabricate these products as per the norms and standards set by medical industries. These products are highly reliable and are easy to use. Possible to adjust the vaginal opening by fixing the screw and locking the central key. 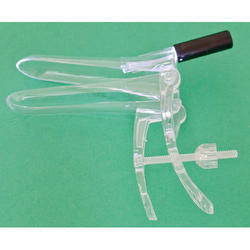 Looking for Disposable Gynecology Products ?